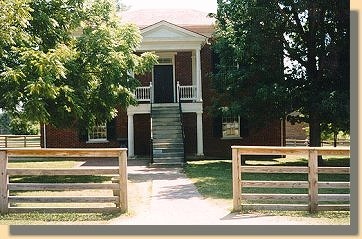 Lee's Parole - Signed with six of his staff officers at Appomattox. Source: National Archives, Records of the Adjutant General's Office, 1780's-1917. 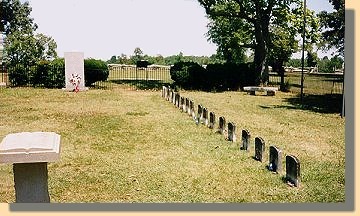 Graves of 1 Union and 18 Confederate Soldiers killed April 8/9, 1865. 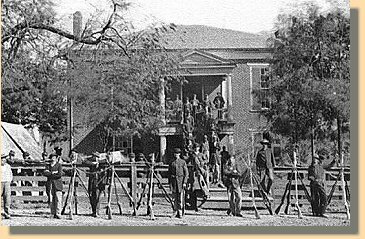 Some of the last Civil War soldiers to be killed in Virginia. In the 1865 photograph, Union troops pose for the camera.